High blood pressure is a problem for many people; in fact, in America around 76.4 million adults suffer from high blood pressure, the American Heart Association notes. High blood pressure can greatly increase your risk for a life-threatening stroke or heart attack. Celery juice contains the compound 3-n-butylphtalide, or phthalide, which contributes to the vegetable's taste and aroma. As a chemical affecting the body, phthalide helps relax the smooth muscles in the walls of the blood vessels, according to High Blood Pressure Info. Blood pressure decreases as the blood vessels dilate and allow blood to flow easier and more freely(2). Using the recommended Oriental dosages to lower mild cases of high blood pressure, one would eat about four ounces of celery (about a cup of chopped celery) daily. You should begin to see results after only a week or two. Acidity: The important minerals in this magical juice effectively balance the body's blood pH, neutralizing acidity. Athletes: Celery juice acts as the perfect post-workout tonic as it replaces lost electrolytes and rehydrates the body with its rich minerals. Cancer: Celery is known to contain at least eight families of anti-cancer compounds. Among them are the acetylenics that have been shown to stop the growth of tumor cells. Phenolic acids which block the action of prostaglandins that encourage the growth of tumor cells. And coumarins which help prevent free radicals from damaging cells. Cholesterol: This humble pale juice has been shown to effectively and significantly lower total cholesterol and LDL (bad) cholesterol. Colon and stomach cancer: The phytochemical coumarins prevent the formation and development of the colon and stomach cancers. Constipation: The natural laxative effect of celery helps to relieve constipation. It also helps relax nerves that have been overworked by man-made laxatives. Diuretic: The potassium and sodium in celery juice helps to regulate body fluid and stimulate urine production, making it an important help to rid the body of excess fluid. Inflammation: The polyacetylene in celery is an amazing relief for all inflammation like rheumatoid arthritis, osteoarthritis, gout, asthma and bronchitis. Kidney function: Celery promotes healthy and normal kidney function by aiding elimination of toxins from the body. While eliminating toxins, it also prevents formation of kidney stones. Lower blood pressure: Drinking celery juice every day for a week significantly helps lower blood pressure. A compound called phtalides help relax the muscle around arteries, dilating the vessels and allowing blood to flow normally. To be effective, drink the juice for one week, stop for three weeks, and start over. Nervous system: The organic alkaline minerals in celery juice has a calming effect on the nervous system, making it a wonderful drink for insomniacs. Weight loss: Drink celery juice frequently throughout the day. It helps curb your cravings for sweets and rich food. Reducing Stress Hormones: Phthalide also helps decrease the production of catecholamines, according to research by clinical pharmacologist William J. Elliot and medical student Quang T. Le, documented at High Blood Pressure Info. Catecholamines are the fight-or-flight hormones that the adrenal glands produce in events of stress. They can contribute to high blood pressure. Stress hormones such as catecholamines can tighten blood vessels and restrict the free flow of blood, increasing the amount of pressure necessary for the heart to pump blood throughout the body. Phthalide blocks the action of tyrosine hydroxylase enzymes that produce stress hormones and contribute to high blood pressure, according to High Blood Pressure Info. Additional lifestyle changes that will help lower your blood pressure: 1. Change your diet and reduce your weight if you are overweight. 2. Consider a vegetarian or semi-vegetarian diet. Vegetarians show very little signs of hypertension. You don't have to become a vegetarian, but adding more vegetables and complex carbohydrates to your diet as well as reducing your sodium intake will help reduce your blood pressure. And recent research indicates that eating more celery is beneficial in controlling hypertension. Keep in mind, though that celery can be toxic in great quantities. 3. Add fiber to your diet. A high fiber diet promotes healthy blood pressure. 4. Reduce or eliminate your alcohol intake. 5. Lower your fat intake. 6. Start an exercise program. Even half an hour of exercise can significantly impact your hypertension. 7. Add meditation or yoga to your daily routine. 8. Get a massage. Therapeutic massage can provide an important component to overall well-being by promoting better sleep, improving concentration, and reducing anxiety. 9. Consider pet therapy. A study at the University of Pennsylvania School of Veterinary Medicine, showed that pet owners had significantly lower blood pressure when they were greeting their pet than when they were reading neutral text. 10. Consider Naturopathy as a way of life. Naturopathy focuses on the body's ability to heal itself. 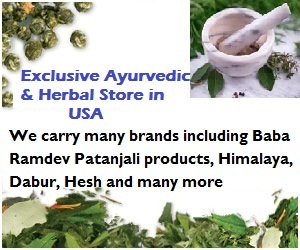 Naturopathy relies on a variety of techniques founded in ancient Indian, Chinese and Greek medicine. These include relaxation therapy, counseling and psychotherapy,herbal medicine, nutrition counseling, physical therapy and homeopathy. Living an active, healthy life can considerably lower your blood pressure and eliminate your need for pharmacological intervention. Celery juices are much vital for health. We need to often use it because it is anti-cancer and helps to maintain normal blood pressure which is base of virtuous health.